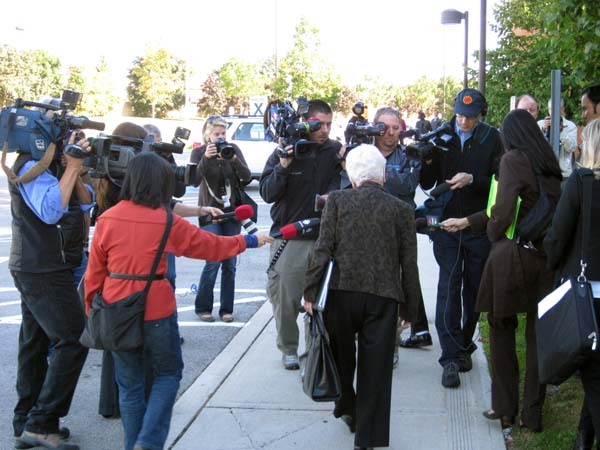 Toronto media were drawn to the start of testimony at a judicial inquiry of Mississauga's 89-year-old mayor Hazel McCallion on Monday. The inquiry is looking into conflict of interest allegations involving a land deal in the city centre. McCallion is running for re-election in the October 25 vote. 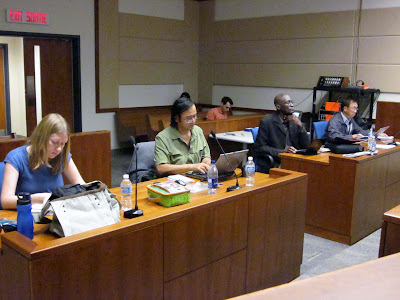 In the media room: Megan O'Toole, Phinjo Gombu, Royson James and Joe Chin. CBC and CHCH TV trucks but no CTV Toronto! Global and CityTV recorded inside.